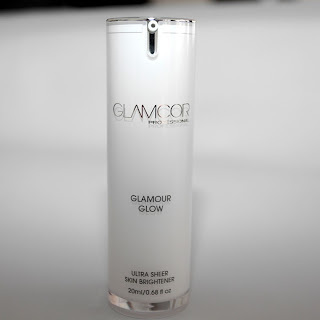 Glamcor Glamour Glow is a lightweight skin brightener. In a stylish pump action bottle this lotion comes out as a soft peachy gold light reflecting liquid. It is easily absorbed and leaves a golden sheen on the skin. Containing cucumber it acts as a skin soother with anti-inflammatory benefits. This looks particularly nice on skin that can sometimes look a little ashy or dull as the peachy tint really warms the skin tone up. Add it to the high points of the face for a highlight or mix it in with your foundation for an all over radiance.